Come along as we talk about gardening and life. Well spring has definately sprung here in Southern California. The hillsides are literally covered in the most beautiful assortment of wildflowers! Everwhere you look, you see orange, yellow, purple, gold and a plethora (yes, I said plethora!) of colors! It's absolutely beautiful and so uplifting from the winter we had. For some reason this year winter really got to me; brought me down. It usually doesn't do that, but I am getting older and so much about me has changed as the years have flown by. Maybe winter is just one more thing. So I have much to do in my garden (still) and apparantly alot more time now to do it in. Last Friday I received one of those phone calls that no employed person wants to get; "your position has been eliminated". That's right. Laid off. I'm lucky though; this is only my 2nd layoff in a 30 year career. Alot of folks have had many layoff's. Unfortunately (here we go with the age thing again), because I am older it is going to be much more difficult to find someone that will hire me. AND with the lousy economy and job losses that are still occuring daily, it may take a while to find something. So...I gaze into my backyard and see where I can spend most of my free time. So why haven't I gone out there and gotten started? Maybe it's because I feel like I'm just on a short little vacation and will be going back to work soon so I don't want to get any large project going just yet. Hm. Maybe. Or, maybe it's because I'm lazy. Well, we know that but I doubt that's the problem this time. Maybe it's a little overwhelming. I can somewhat believe that. With all the rain we had this past winter, the weeds grew like....well....WEEDS! They are everywhere! And I can't really do any planting until I get rid of them. Of course, weeding really irks my allergies....and I can just find all kinds of excuses not to do it! But I know I have to so this week (sometime) I will get back there and get the project going. Weeding and planting and feeding (which I've already started). The weeding shouldn't be too bad because the ground is still soft with traces of moisture so most of the weeds should come right up. Thank goodness. Alot of my container plants have already come back and have had their first bloom. So pretty. I think most of those will be going in the ground this year. So I have my work cut out for this week. Between that and job hunting I should be plenty busy. Corn gluten can be an excellent way to surpress weeds in your lawn and garden at the start of the season. What is corn gluten you ask? It is a by-product of the corn milling process. It's a yellow, grainy powder that looks alot like corn meal. There are no additives and no chemicals; it's pure corn product. It makes a great weed pre-emergent and stops the roots in the weeds from growing. The good part is that it focuses on the weeds and not your yard plantings. You can put a pre-emergent such as corn gluten in your lawn and it won't hurt the lawn but it will help get rid of the weeds. If you use the gluten at just the right time, weeds such as crabgrass and dandelions can be stopped before they take root. There are a couple of downsides to using corn gluten. One is that timing is everything. 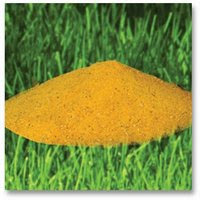 If you are using it as a pre-emergent weed control, you've got to use it BEFORE weeds appear in your lawn or garden. Once the weeds come up, the corn gluten won't do much for you. The key is to stop the weed growth before it starts, which is what the gluten will do for you. You can also use it if you have weeded the yard well, then put down the gluten. It worked for me last year doing it that way. The other downside is...well....let me share a story with you. I had a couple of bags of corn gluten in my shed in the backyard. One bag was on the floor, the other on a shelf. I hadn't been in the shed for quite a while being that we had just gone thru winter. Now that it was spring (last year), it was time to get in the shed, get the tools and get busy. And guess what I found when I opened the shed door? There was corn gluten everywhere! All over the floor, in a pile in the corner and all over the shelf. Seems the little mice that frequent our yard found a way into the shed and discovered the corn gluten. That's right....they feasted for apparently the whole winter! Little piglets munched quite a bit after tearing open the bags and believe me when I say they left a nasty, stinky mess in my shed! Moral if the story....if you're going to use corn gluten, store it in something the mice can't get into! I now have mine in a closed plastic bucket, safe and sound. I'm looking forward to a beautiful sunshiney weekend so that after I get my taxes done Saturday I can spend the day playing in the dirt. Ok, it's still mud, but I can still play in it! Well, here we are in 2010. When I was young I thought that by now we would have Jetson style cars and robots that work around the house. Boy was I fooled! Spring is on it's way in San Diego and it is beginning to show. Little buds are appearing on the trees, bulbs have grown into leafy spikes, just waiting to burst open with color and fragrance and the bunnies across the street now have little bunnies. It's been a long winter for some. We've had alot more rain than we usually get (it is an El Nino year after all) and I have loved every minute of it. Truth be told, I would like more! But...I will be glad when the sun finally comes out for a while. I think my moods need it. My husband, I'm sure, would agree. I did let my backyard lawn go. Right now, because of all the rain, it's a weedpatch. Not sure what it's going to be once it dries out enough for me to do something with it. I look around my backyard and I see all of my container plants in various stages. Some are long dead, never to return to their once glorious blooms. Some are dormant, waiting for that sunshine to warm them and help them grow once again. But all are waiting to be fed. Yep, time to feed everything! Looks like we will have a dry weekend this weekend (first one in a while) so I will be spending some time out in the garden taking care of my container plants and feeding the ones that need it. I'm considering a raised food garden this year. Still haven't decided if I want to do that or not and if I do, where in the world I would plant it. Because I have a pool, the plantable area of my backyard isn't as big as it could be. We'll see if I get around to that or not. I would love to grow some heirloom tomatos. They have to be the best tasting tomatos on the planet! I've looked a little bit into how they are grown and not sure I want to go that far (seeds, temperatures, all kinds of stuff). So there are alot of "unsures" in my garden right now. Since this will be the first nice weekend in some time, I'm not going to stress about it. I'm just going to continue to look and think about what I want to do out there. Like a painter looking at a blank canvas, I will plan my beautiful garden for 2010 from the ugly, overgrown yard that it is today. This year I decided to let my lawn go. We are in a heavy drought and have been put on a watering “schedule” by the city. I decided that I would rather have my beautiful flower gardens in containers instead of a green lawn in my backyard. So that water that I would have used on my lawn now goes to all my container plants and my pool. 1) I don’t want dirt that is showing. I have a pool and the breezes would just blow the dust into the pool, making a big mess. 2) I have a dog. I thought about putting small pebbles down, but feel that it would be hard to pick up his “messes” and it would be rough on his feet. Plus he loves to roll in the weeds and dirt. Of course, that could be a benefit to putting down pebbles! No more dusty dog! 3) I want color! Flowers! Beautiful displays! Ok, maybe that’s asking a bit much for a xeriscape, but I at least want color. 1) What plants can I put in that will give me color, yet be drought tolerant? 2) What can I use for mulch that would be attractive, practical and easy on my dogs’ feet and won’t blow into the pool in a good wind? 3) How will I blend it into my tropical (“tiki”) décor in the other half of the yard? Help! I’m not sure which way to go at this point. Any suggestions? 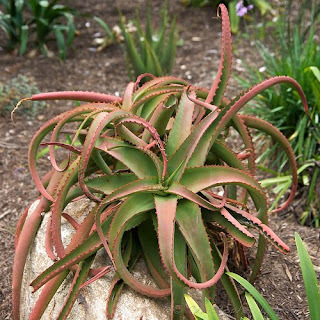 Quail Botanical Gardens in Encinitas, CA is a gardener’s paradise. It is over 35 acres of exhibits and plantings of bamboo groves, desert gardens, tropical rainforest, California native plants, and my very favorite, the Underwater Succulent Garden. And that’s just for starters! One could spend all day strolling through the different gardens letting your imaginations run wild. Can you see yourself strolling through the Australian outback, viewing the native plantings or sitting at the base of a waterfall in a tropical rainforest, surrounded by beautiful shrubs, flowers, trees, etc? Better yet walk along the Undersea Succulent Garden where planting’s of various succulents literally makes it look like you are underwater! The colors are beautiful and there are sea creatures scattered about here and there. There are also quite a few trees and plants that inspired the illustrations of Theodor Seuss Geisel, non other than Dr. Seuss! If you’ve ever read Dr. Seuss, you will know the trees and shrubs when you see them. You can’t miss them! The Gardens have many educational programs for both kids and adults. Check out their website at http://www.qbgardens.com/ for a list of events. Admission into the Gardens is $12.00 for adults, $8.00 for seniors, students and active military, $6.00 for kids 3-12 and kids under 3 are free. Not a bad price for a days’ worth of entertainment! The kids love walking around the gardens and getting dirty on the dirt paths and in the educational programs that are hosted. Adults will fall in love with the various gardens; there’s one for any gardening taste! I have received a lot of inspiration from visiting these gardens. 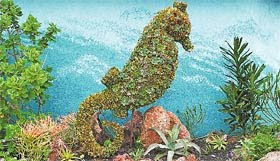 In fact, one of these days I am going to attempt my own “undersea garden”. I’m collection succulents and various plants for it now. But I don’t want to rush my inspiration! So one of these seasons I’ll get it done. In the meantime, I’ve got some really cool succulents to enjoy. The heat of August can be really rough on your garden. Here I’ve offered some tips to help your plants survive this hot month and get ready for the temperature challenges of September! - Watering is one of your main tasks this month, especially for plants in containers. It’s not unusual to have to water your container plants more than once a day; once in the morning and once at night. How much to water depends on how dry your soil gets. - Water non-container plants deeply. This will help to get the water down to the roots and below, so that the roots will grow down and not up as they search for water. Deep roots lead to strong, healthy plants. - If an annual appears sickly or is just not doing well, go ahead and pull it up and get rid of it. It’s too late in the season to worry about it. - If a perennial looks like it’s not doing well, you could cut it back to a few inches. It will come back next year with healthier growth. However, please check with your local nursery or on-line resources before you cut your plant back. How much and how late in the year to cut it depends on the type of plant. - Add mulch to your garden if needed. A thick (2 to 3”) layer of mulch will help your soil to stay moist in between watering and will help keep some of the direct sun off the roots so they stay a bit cooler. - A moderate summer pruning of your roses might be in store. If your roses seem to be struggling, go ahead and prune them back 25 – 30%. You will be rewarded with lovely blooms again in the fall. - Keep working on your composting! Add a little moisture to your compost pile if you haven’t done so in a while. Most of all, continue to enjoy your garden in the cool evenings of San Diego. It won’t be long and they will be gone for this year, waiting to surprise you in the spring once again. Well it’s been a while since I’ve blogged. I was busy enjoying February (yeah, that sounds like a good excuse!). Here it is March already and I haven’t posted a thing about what should be happening in your garden this month! So here goes…. First and foremost, get rid of those weeds while the ground is still soft and moist! This should be your first job in the garden this month. It’s extremely important you get those weeds out of your flower beds, lawns and food gardens, otherwise you’ll be fighting them all summer long. So get out there on a nice sunny and cool day and pull ‘em out. You only need to water this month as needed. Fortunately for us in Southern California, we have had rain on and off for the last several weeks and it has really helped to keep our soil moist. However, as a lot of you know, I have a lot of plants in containers and I must continue to water them in between the rain. Plants in containers dry out quickly. This is also the month to switch out your cool season plants to warm season plants. Plants such as annuals (pansies, etc) that love the cooler weather should be changed out for plants that like the warmer weather. Sunflowers, marigolds, petunias, etc. can be planted this month or started from seed. Keep an eye on your local nursery. 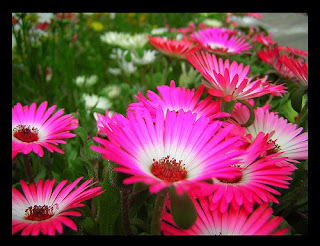 They are usually good about putting out only seasonal plants, in other words plants that are for a particular season. I usually go by the idea that if they’re in the nursery, they’re ok to plant and if I have any doubts, I simply ask. This includes edible plants you are growing; switch out from the cool weather crops to the warm weather crops (corn, beans, peppers, tomatoes, etc). You should also do some deadheading of your flowering plants and pinching back of plants such as fuchsias. Deadheading is where you simply remove the dead flower at the tip of the stem. This encourages more flowering. Pinching back plants such as fuchsias does the same thing; encouraging more flowers. You may already have some bulbs you planted that year that are done with their bloom this month. Leave them in the ground and let the green foliage die back and turn brown. Once that happens, remove the brown foliage and leave the bulb in the ground for next year. If you have bulbs such as tulips, it’s best to dig up the bulbs and store for next year. In Southern California is does not get cold enough to support tulips until next year as they require a lot of cold weather to get themselves ready for the next blooming season. Fertilize where needed. Plants that produce flowers or food will need fertilizer this month as will plants that are showing signs of stress (yellow leaves, spots, leaves falling off, etc). If your shrubs, trees and other ornamentals are showing signs of being healthy, you probably don’t need to fertilize this month. 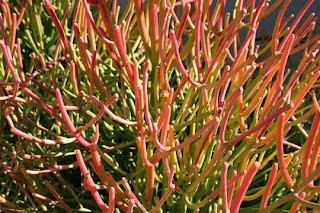 If in doubt about whether or not to fertilize, look up the plant type on the internet; you’ll find lots of information about when to fertilize, watering needs, etc. And just a reminder for us folks here in San Diego, and all Californians; water is a tight commodity this year. This is the perfect time to adjust your sprinklers, check them for broken sprinkler heads and/or leaks, and make sure the watering area is appropriate and only covers the plants, not the sidewalk. For container plants, put a 5 gallon bucket in your shower next time you shower, and while the water is getting hot let it fill the bucket instead of just running down the drain. You can use that water to water your containers and any other plant. And don’t forget; once you’re done with your work for the day, sit back, relax and take time to enjoy your garden and celebrate spring! February is a tough time for gardeners in Southern California. It’s the dead of winter, with visions of spring just around the corner. We can’t wait for the cold weather to be over so we can plant, plant, plant! If a nice, sunny day comes along, we go nuts and head for the nursery to find and plant whatever we can, forgetting that it’s still the dead of winter. But alas…even though planting is not the greatest idea for flowers and ornamentals, it’s a great time to plant veggies, herbs, bare root roses and some fruit trees. It’s also a great time to pay a little attention to some garden “housekeeping”. When was the last time you cleaned your garden tools? Or washed your dirty gardening gloves? Have you swept out your gardening shed in the last year or so? February is a perfect time in Southern California to accomplish these things. While you never know from one day to the next what the weather will be like in February, there is plenty to do to get your garden ready for that glorious spring day when your bulbs begin to flower and ornamentals can start going in the ground. Mulching is a big one. Mulching now will save you a lot of weeding come spring. In Southern Cal, we’ve had a few days of rain and in November, we actually had some pretty decent rain. So in my garden, and most likely in many gardens around So Cal, weeds are popping up like…well…weeds! The best time to pull weeds is when the ground is nice and soft so you get the roots. If you’ve had a nice rain, head out the next day and pull some of those nasty weeds. Once you’ve done that, mulching is the next most important thing to do. Not sure how to mulch? Easy! All you do is clear all the weeds away and rake up all around to get any dead leaves, etc. Spread some pre-emergent weed control (available from The Happy Gardener-see below) all around the beds, following the manufacturer’s instructions. This will help to stop any weeds from growing before they can get started. Top that with single sheets of newspaper, being careful to overlap at the seams so no dirt is showing through. This will help to keep water and air from getting to the ground which would nourish any weeds that might be ready to pop up (and you don’t want that!). Mist the newspaper with a little water, but do not soak. Then put your mulch down…any kind will do; pine needles, bark nuggets, rocks, etc. Make it thick…2 – 3 “ is a good amount. Make sure to mulch around your existing plants and leave a little room around the plant free from mulch. This makes an excellent “bowl” for the water you give your plant. And finally….don’t forget our fine feathered friends. Keep putting bird food out to keep em coming back! 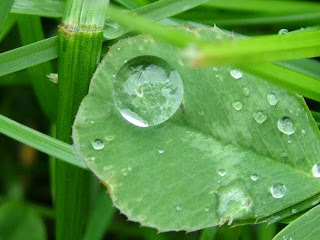 Organic pre-emergent weed control is available from The Happy Gardener, www.thehappygardener.info. Please email me if you’d like further information! The Mayor of our fine city has told us that our water situation is bleak and we must conserve. We have been under a “water shortage emergency” since July of 2008 and to be honest, I haven’t really seen anyone paying much attention. I still see people watering their lawns; I still see people washing their cars at home; I still see water running down the gutters; I still see pools of water lying in the streets for no apparent reason and I still see lots and lots and lots of green grass around the city. Anyone that was conserving should have at least a hint of brown in their lawn, especially since our temperatures have been in the high 70’s low 80’s for the last week. 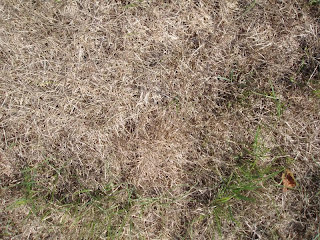 While green is a lovely color and the sign of a healthy lawn, it does not indicate much conservation going on. I would rather see that water going towards growing food than going towards having aesthetically pleasing lawns. If this city does not do better with water conservation, we will be forced to conserve in ways that could be rather unpleasant. Anyone remember the days when we were asked to flush our toilets once a day to help conserve water? Ugh. My backyard garden consists of a lawn, a few permanent plantings and lots of plants in containers. Last year, I stopped watering the lawn to help with water conservation. Needless to say, my lawn was awful; brown and absolutely full of stickers and weeds. I was constantly pulling stickers out of my poor dog’s fur last summer. It will be the same this year, so I’m going to try to figure out a way to get rid of my lawn and still have a pleasing yard. I have no clue how I’m going to do that, but I am going to research. My biggest decision though is about my container plants. I love my container plants. That’s where I grow my flowers and my strawberries and my tropical’s and all sorts of wonderful, beautiful plants. When spring comes, it’s all I can do to wait for the spring flowering plants to arrive in the local nursery so I can plant them in my containers. And as the growing season changes, it is so easy to change the plants I have. Unfortunately….container plants of these types are water hogs. Did I say I love my container plants? So I have made the decision to cut way back this year on my container plants. I have several that are well established and I will not be cutting back on them. For these I will be consistently using SeaResults Micronutrient Solution from the Happy Gardener. It helps keep the plants healthy and helps build up a resistance to drought. But I will be limiting the new plantings this year. And that makes me sad. They bring me such joy. But we all have to make sacrifices in these tough times. While it makes me sad to know I will not be puttering in my garden as much this year, I can try to get satisfaction in knowing that I will be doing more to help keep the water flowing where it needs to; to the farmers and to the community. Now, you are probably saying that that is not much of a contribution and it’s such a small thing it won’t make any difference anyway and that it is pretty stupid to be sad over such a thing. But that’s when I ask…..what are you doing to help? Time to Start Thinking About Roses! Hard to believe that it’s already time to start thinking about your roses. January is the perfect time for pruning back your roses to ensure a nice bloom come spring time. There is so much information on the internet about what to do, how to prune them, how to care for them, etc that I’m not even going to go there. What I am going to do is tell you what I do and I get some gorgeous roses with not much care every year. There is one exception however; I have a couple of rose bushes that are in the shade most of the fall and winter due to the direction of the sun. 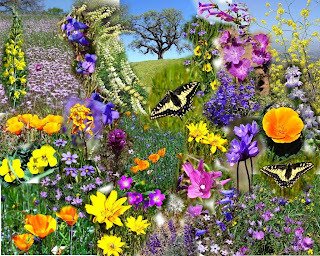 I have found that over time, that definitely makes a difference in the amount of blooms I get in spring and summer and the overall health of the plant. Aphids and a variety of leaf-eating bugs seem to absolutely LOVE the roses that are in the shade as they get munched on the worst. So if you’re planning on putting new rose bushes in, look out for the shade because roses love the sun! When I get ready to prune my roses, I use a pair of leather gloves so the thorn sticks into my hands are minimal. I definitely have fewer scratches on me when I’m done when I use leather vs. cloth gloves! I use a good pruner, one that is nice and sharp, and of course a trash bag or compost bin. When I prune, I REALLY prune! I cut the stems way back, usually to about 6 inches above the bottom of the plant, or the top of the woody bump on the bottom of the plant (if there is one). A lot of folks would gasp at the horror of that much pruning, but hey, it works for me! I throw the stems away and any other material I usually put in the composter (old buds, etc). The stems don’t break down very well in the composter, so they go in the “green” garbage for recycle day. There are many different ways to prune your roses and many different beliefs on the best way to do it (which way to cut the branch, at what point in the stem do you cut, etc). When I prune, I always try to cut the stem just above where there is a 5 leaf stem growing out of the branch. I’ve always read that is the “proper” place to trim and it seems to work to help ensure more blooms. The direction of the cut depends on how I want the bush to look. If I want it kind of leggy and woody, with the blooms growing out away from the plant, I will cut at a slant facing away from the plant. If I want the plant to appear fuller and less leggy, I cut in the opposite direction, facing into the plant. Why would I want it to grow leggy and woody you ask? I have one particular rose bush that gets so many blooms on one branch, that I want them to spread out as far as possible to fill the space with flowers. I have a yellow rose bush that I cut inward; different kind of rose so it requires a different way to grow and these yellow roses look best when they are more compact. It’s also important when you prune that you clear away any old leaves, etc that could be surrounding the base of your plant. I know, some of you probably like to leave the old leaves there thinking its good mulch. Unfortunately it’s also a great area to start growing some powdery mildew on your roses or a little rust or hide pests that love your roses as much as you do! You don’t want any of that around your roses! So keep the ground around the base of the bush clear. Once your rose starts to sprout new leaves around March or April, it’s time to start feeding it. You don’t HAVE to feed your roses, but they will not be as beautiful as they could be and may not even be very pretty! Feeding your roses helps keep them strong to fight disease and pests. So feed and water well when the time comes! This season I will be using Happy Gardener products exclusively on my roses. I love the fact that the products are certified organic, so no harsh chemicals or poisons will be in my garden this year. If you’d like information about The Happy Gardener organic products for your garden, drop me an email and I’ll be happy to answer all of your questions! Now…head out to the nursery, pick your rose bushes and get ready to plant, prune and grow! I am a backyard gardener living life in San Diego, CA. I don't have a green thumb so to speak, but I do enjoy my garden (AKA "the yard") and don't kill the plants as much as I used to.